Although normally we would ask only one type of food, Chef Albert Tanudjaja of Mandarin Oriental Jakarta cannot help but to share the best two of his most favorites that came from two different extremes. There was no faster way but Puncak when Jakarta and Bandung was not yet connected with a series of toll road. It was a long, tedious journey but you will never get tired of the scenic surroundings. It was all but a memorable journey for the people of both cities. One thing that the travelers used to remember was the moment when they have to stop for lunch or dinner. Nothing beats the famous Padang restaurants on this route for that. 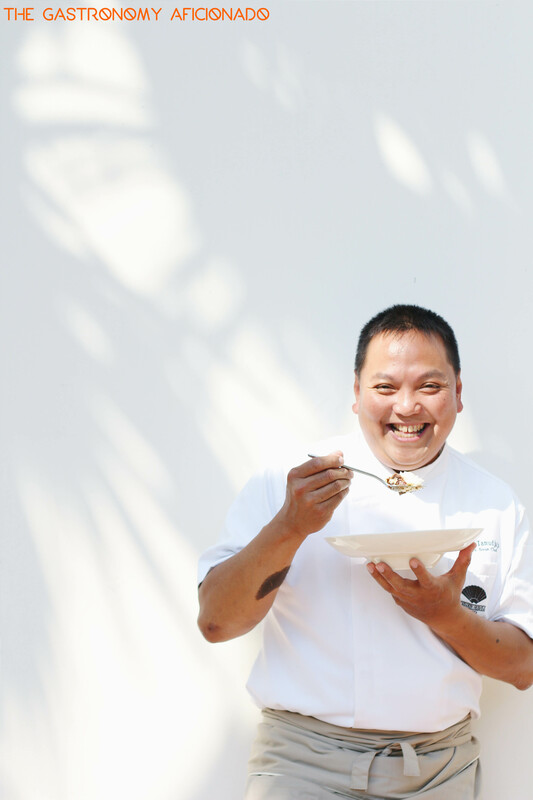 That was when the young Chef Albert Tanudjaja recognized rendang for the first time ever. During those road trips with the family, he quickly fell in love with rendang and until this day forward. “It was my childhood’s favorite food. Now, I appreciate rendang because of its intricacy”, says the chef explaining to the length that he cooks his own rendang to indulge his cravings. While rendang undoubtedly requires meticulous preparation and patience during the process, Chef Albert also has another confession to make about his other favorite food and this one is in contrast with rendang. To begin with, cooking was a destiny that he was unaware of. Even after several years after he graduated from school and apprenticing in several restaurants, he was not yet at peace with his choice of career. Difficulties came in and the fledgling chef was forced to adapt quickly. The pressure did not come only from work but from himself and the family as well. He’s at the verge of giving everything up. “When I was studying and working as a young chef in Germany, I had to choose between making my last stand or defeat. I chose to tear away my airplane ticket back home and continue the fight”, says Chef Albert, still with full determination. It was a fateful decision. Eventually he fell in love with his line of work. The rest is history and he’s now living the fast lane as a respected Executive Sous Chef for Mandarin Oriental Jakarta.